Dark blue clear starry evening sky. A lot of stars moves on the cloudless sky. Comets are flying sometimes, starry night sky with meteor shower Milky Way moving in time lapse. ULTRA HD. hd00:14Galaxy starry sky, milky way at night time, clear blue skies, Real beautiful stars rotating & trails with horizon, universe footage. Meteor shower around the earth. Full HD. hd00:18Persid meteor shower time lapse, rotating galaxy star line. Star Time Lapse, Milky Way Galaxy Moving Across the Night Sky, Perseid Meteor Shower Milky Way, Time Lapse galaxy in evening sky. FULL HD. hd00:13METEOR SHOWER, MILKY WAY TIME LAPSE, GALAXY UNIVERSE MOTION, ROTATING MILKY WAY. STARRY SKY. Perseid Meteor Shower Milky Way, Perseid Meteor Shower, Star Time Lapse, Milky Way Galaxy at Night. FHD. 4k00:32Time Lapse Beautiful Starry Movement In The Night Sky and Milky Way Galaxy, very beautiful blue dark skies with small star shine. Ultra HD, 4K, 3840x2160. 4k00:13Starry blue, clear sky, star shine & meteor shower, nature night blue skies. Time Lapse Beautiful Starry Movement In The Night Sky, Star TIme Lapse, Milky Way Galaxy moving across, Ultra HD, 4K, UHD. 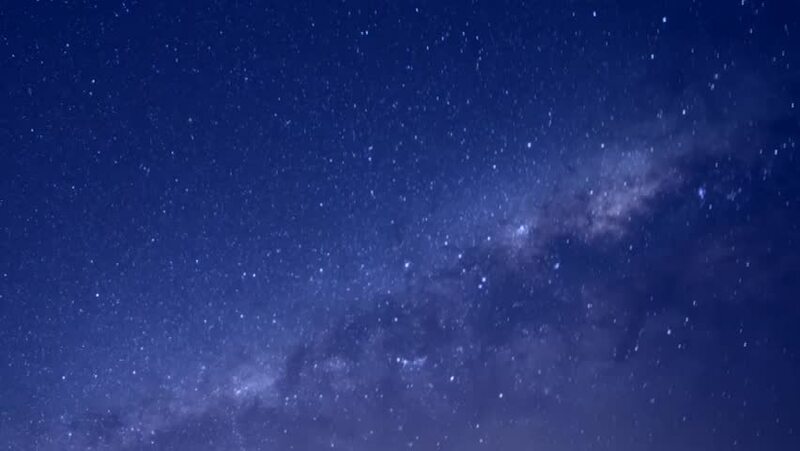 4k00:16GALAXY MILKY WAY, STARRY BLUE INGHT SKY TIME LAPSE. Milky Way Galaxy Time Lapse of Stars and Meteors, Starry night sky with meteor shower Milky Way moving in time lapse. ULTRA HD, 4K. hd00:12Galaxy milky way in dark blue skies, time lapse star trails, universe Mojave Desert, Perseid Meteor Shower to dark evening blue sky, REAL TIME LAPSE Seamless loop of twinkling stars. Created at 1080p. hd00:11Milky way in night clear blue sky, beautiful star trails, real fantastic footage. Starry lines rotating in galaxy.